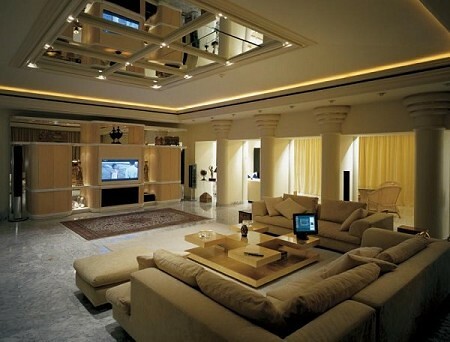 Most people are attracted to home automation after learning what automated lighting control can do for them. Once they have the technology in their home, they are usually hooked. Automated lighting includes the remote control of lights, using timer switches to control lights, and setting custom lighting and schedules for light levels. Controlling dimmers lets you set the brightness of different lights to levels you specify. Depending upon the time or location, lights need not be on at full brightness. Plug-in modules, lamp bases, and home automation wall dimmers let you set brightness to custom levels based upon your personal preferences. This cuts down on your power bill, customizes your home to your wishes, and increases the lifespan of bulbs. This feature is particularly useful in large homes where it would require a great deal of time walking from room-to-room turning on and off lights. Using scene lighting, you are able to turn several lights on, while turning others off. This is basically mood lighting. If you are having a romantic meal, you could set the overheads to a dimmer level and turn off other lights nearby. 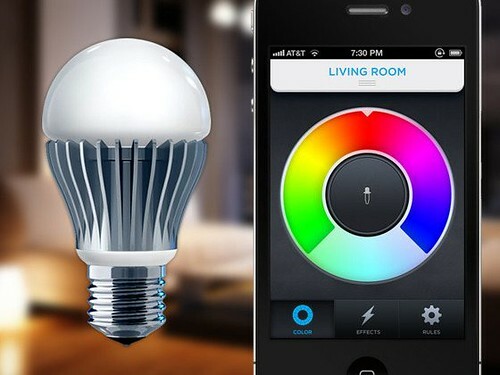 NXP- a semiconductor company based in the Netherlands – will soon be offering Wi-Fi connected lightbulbs that could transform your home into a low-power, mood-lit, smart home. The technology will produce both LED lights and compact fluorescent bulbs. These lights are low-power alternatives to the standard incandescent bulbs and already have bits of silicon inside of them, so adding NXP’s new Wi-Fi system is quite easy and inexpensive, allowing you to turn your lights on and off from a PC linked to the wireless grid of your home. You will also be able to set mood lighting using what NXP calls “states” using a hand held remote or via your iPad, just like you were a theater lighting coordinator. You will be able to easily and quickly add movement-sensing automated lighting. This could turn lights on using a dim setting- useful if you are stumbling around at night as you walk to your bathroom. Additionally, you will be able to use apps downloaded to your home to tweak your home’s lighting energy usuage so you wind up spending less on your power bill. This innovation continues the recent trend of connecting virtually everything in our lives to the internet. By year’s end, you might be able to purchase five light bulbs and a remote for $50 from home improvement stores. For additional examples of high-tech and smart homes, check out these new homes for sale in Jacksonville, FL.